Let’s be clear. When our Gobi Gear Hoboroll arrived, we quickly thought why someone would like more stuff while everyone is trying to pack light these days. A little bit later, after playing in a couple of backpacking trips with our new packing tool, we started to realize all the benefits that it was bringing to the table! With almost no weight gain, we could reduce and compress up to 50% our packed volume! Built with five interior compartments in lightweight nylon, two straps and two drawstrings in both ends, we wonder how came no one thought of a luggage compression organizer like this before! Different models and colours available. 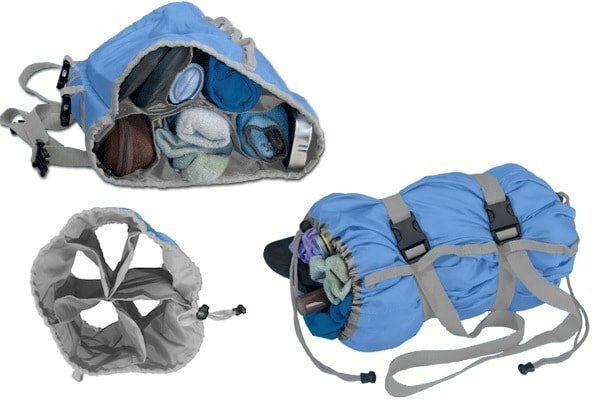 The Hoboroll helps you save a lot of room when packing that can be used for something else. It is pretty light but also it seems to have been built tough enough to last a couple of years with a heavy use. 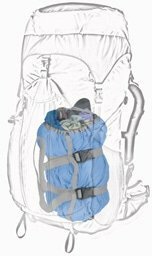 It can be used alone as a day-pack or inside a huge backpack. Some of the colours are a bit dull, although ours was ok. However, design has never prevent us to use something as practical as the Hoboroll! Nylon, as a plastic material, comes from oil. Fabrics could be more eco-friendly. More sizes to fit more needs could be created. Would you like to have one? Gobi Gear is offering A World to Travel readers a 20% off all orders until 10/31/2013 with the code “worldtotravel” in their website. Disclosure of Material Connection: Although we received a Hoboroll for free from Gobi Gear as coordinated by Deep Creek PR an Outdoor Industry Public Relations Company in consideration for review publication; all opinions are, as always, our own.